Tom Haines Sensei began his Aikido training at Arizona Aikikai in August of 1973. He received his shodan in September 1980 from Takagi Sensei; nidan in 1984 through Aikido Association of America from Fumio Toyoda Sensei and recognized in March 1986 through the United States Aikido Federation by TK Chiba Sensei; sandan in February 1990, yondan in December 1993, godan in January 1999, and rokudan in January 2010, all from Saotome Sensei. 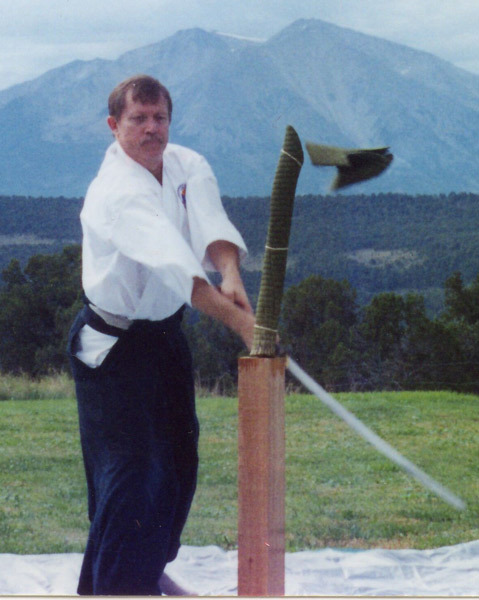 Haines Sensei has served in various offices with Arizona Aikido and is presently the president of the organization and chief instructor. Throughout his career in Aikido, he has attended many camps and seminars and has trained with many different senior Aikido instructors. In addition, he has had the opportunity to travel to Japan, where he trained in a number of different dojos.